UPDATED March 7 - Details on the full Pixar lineup of posters from the Oh My Disney/Mondo event at SXSW have been updated at the bottom of the post. If you want to pick up any of these prints and aren't able to make it to SXSW, your best bet is through eBay. We have also added links to each poster below so if you click them it will take you right to that poster's search on eBay. 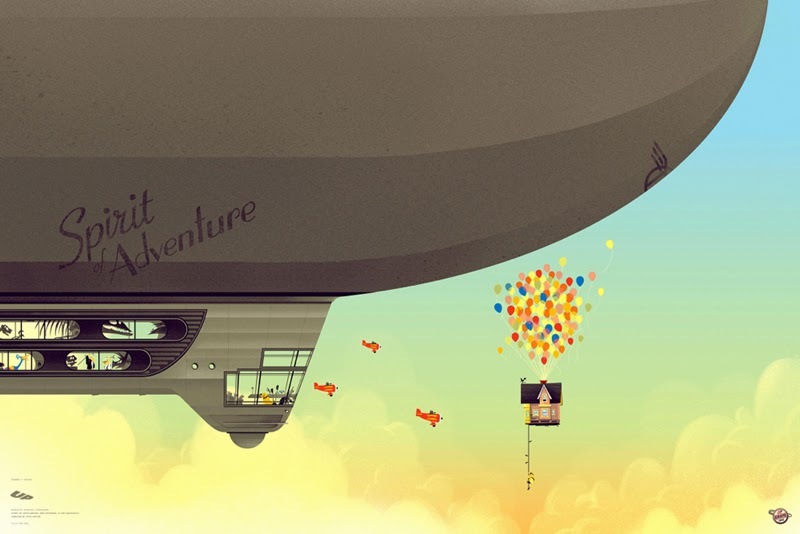 This year at the Annual South by Southwest (SXSW) Festival (held in Austin, Texas) Mondo Posters and Oh My Disney will be pairing up showcasing a gallery titled "Nothing's Impossible". 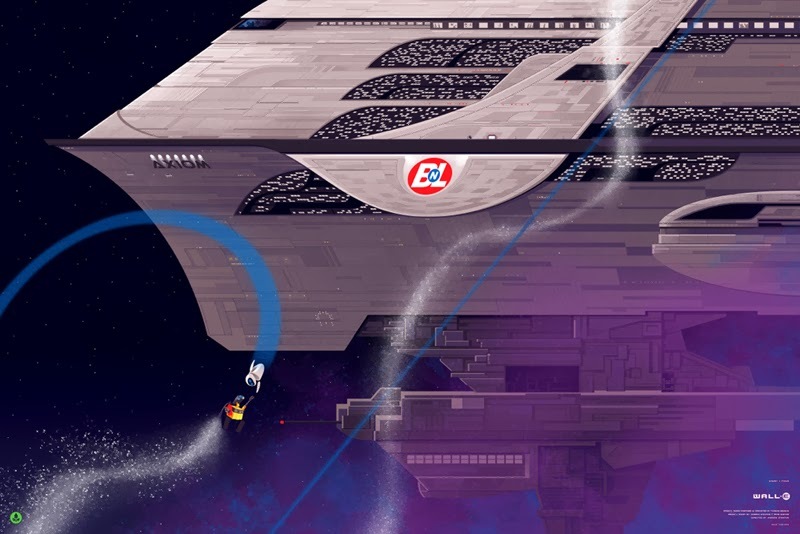 The gallery which opens to the public during the festival on March 7 through March 11, will feature exclusive Disney and Pixar artwork from renowned Mondo artists giving fans a chance to purchase the limited edition prints. If you are familiar with Mondo Posters, you know that their limited edition screen printed posters sell out within minutes of each release - only adding to the excitement of owning these exclusive pieces of art. As of now, there have been a total of three Pixar-themed Mondo posters released as a sneak peek to whet every Disney•Pixar fans appetite. 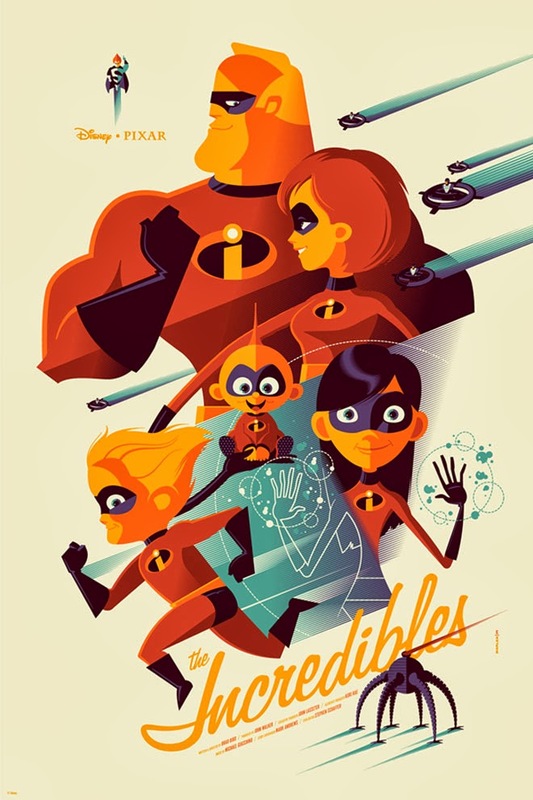 The released posters were designed by artist Kevin Tong who designed both the UP and Wall-E posters and artist Tom Whalen who designed The Incredibles poster. Whalen described on his website that he had been assigned The Incredibles about three years ago (stating it is one of his favorite films) but due to a licensing issue had to "table" the project. When the "Nothing's Impossible" project was announced Whalen was given his second chance to bring his vision to life and has said he thinks that the current final rendered image for The Incredibles poster turned out better than he thinks it would have been three years ago. This story about Whalen's journey to create this "Incredible" poster is perfect to join the "Nothing's Impossible" project as he proved nothing was impossible - it may have taken time and patience but nothing was impossible. 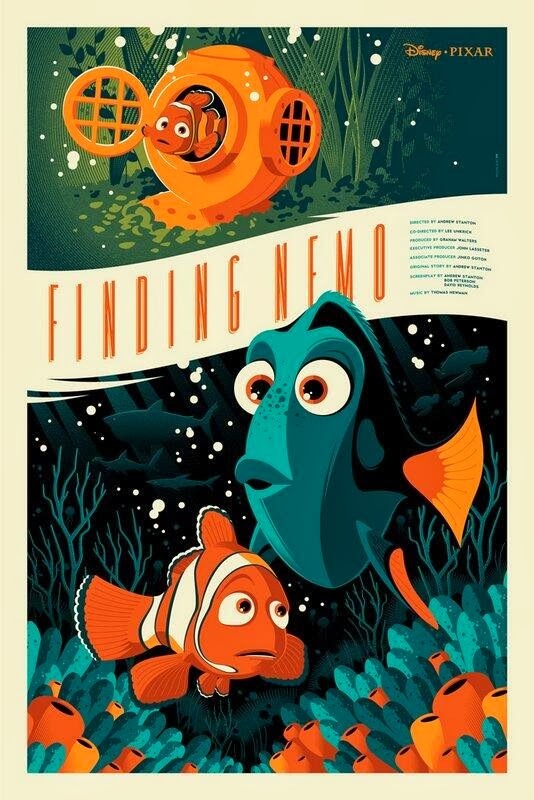 Updated - Tom Whalen has just tweeted an image of an additional poster he created (also available at SXSW) - Finding Nemo! Additionally, we also now know of these cool profile prints of Mr. 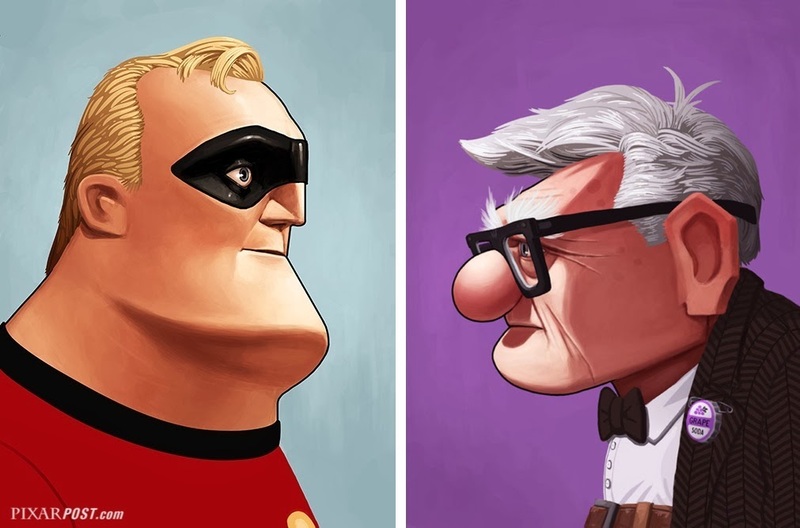 Incredible and Carl Fredricksen by Mike Mitchell. Could you imagine how cool it would look having the pair of these prints framed up and looking at each other (like the image below) on your wall - wow! 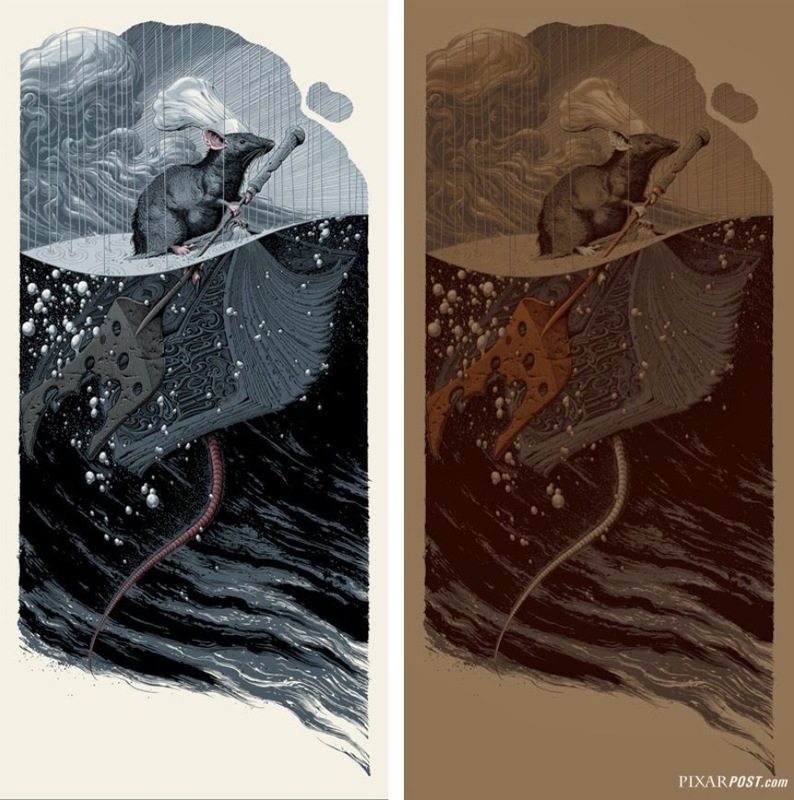 Print size is 12" x 16"
Finally, this Ratatouille print by Aaron Horkey comes in a standard and variant edition. If you're interested in purchasing any of these prints and you weren't able to be at SXSW, you're best bet it finding them on eBay now. The links below are pre-populated and will take you directly to that print.